Scotswood Natural Community Garden in Newcastle upon Tyne has opened up its educational visit bookings as part of its Wildlife Superheroes project for 2019. Aimed at Primary schools, all of the sessions are focused on one of three areas: Meadows and Pollinators, Water and Aquatic Life or Trees and Woodlands. At the end of each session, the class is asked to commit to a ‘Wildlife Rescue Task’ that they will then complete back at school or in their local community. Examples of projects include designing a poster about saving water, making a bug hotel, planting bee friendly plants, or surveying trees in a local park, as a way of continuing the work they began at the centre. Schools are asked to feed back to the Centre on how their Wildlife Rescue Task has gone, and on completion the children will receive a certificate for their Wildlife mini heroes award. In addition to the summer workshops, the Scotswood Natural Community Garden has also opened a select number of autumn/winter themed interactive workshops. These include Evergreen and Deciduous, Berry Painting, Hedgehog Hibernation Challenge and Wreath Making. Meadows and Pollinators: Be a Bee – Suitable for Foundation and Key Stage 1, pupils will be encouraged to explore the garden through the eyes of a honey bee, as they visit bee hives and plant a sunflower to take back to school. Water and Aquatic Life: How Clean is our pond? – Key Stage 2 students will use binary codes to identify creatures from the pond, whilst talking about the causes of pollution. 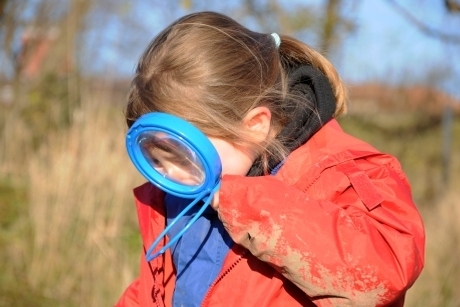 Trees and Woodland: Minibeast Superheroes - Aimed at Foundation and Key Stage 1, the session will see students go on a minibeast hunt of their own, and learn facts about them along the way. Sessions can be half days, which run from 9.45 to 11.45, or full days, running from 9.45 to 2.15. Workshops are available from now until the end of Summer 2019. To find out more about booking a session, schools can contact Rosie on 01912 004706 or rosie@sncg.org.uk. To find out more, visit www.sncg.org.uk/learn/school-visits.